Because country music is a radio-driven format, it has usually allowed for a large number of artists to have success at any given time. The nature of the other CMA Awards categories leave them dominated by the genre’s biggest stars, so it is the Single of the Year category that best tells the story of country music over the past fifty years. 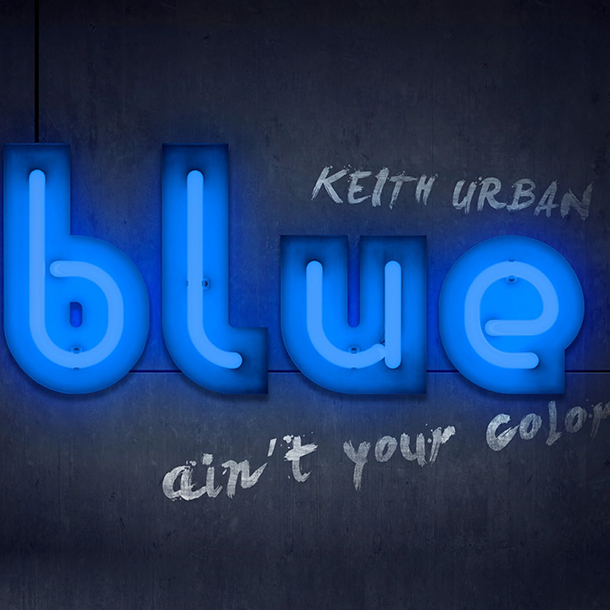 Here’s a look back at CMA Single of the Year, starting with this year’s nominees. “Drowns the Whiskey” is Jason Aldean’s third nomination in this category and Miranda Lambert’s seventh, good enough for her to move into third place among most nominations in this category, tied with Alan Jackson and Tim McGraw. Chris Stapleton and Florida Georgia Line compete for a second time, while Dan + Shay, Midland, and Bebe Rexha enjoy their first shot at this trophy. 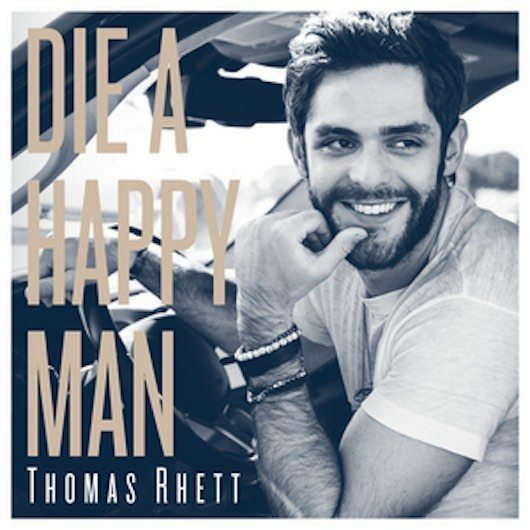 Thomas Rhett was nominated against four artists who scored more nominations than him across the ballot, but he triumphed with his love song written for his wife. Miranda Lambert finally won this category with her fifth nomination, taking home the trophy for the lead single off of her Album of the Year winner, Platinum. Florida Georgia Line broke the record for the most weeks at #1 on the Billboard country singles chart, thanks largely to new rules that allowed for pop airplay to count toward the chart. It helped power them to a Single of the Year win. Little Big Town’s remarkable run at the country music award shows began in 2012 at the CMA Awards, and they won in this category for the song that launched them to a new level of success. The Band Perry took home the Single of the Year award for “If I Die Young,” which also earned a Song of the Year trophy for their lead singer. Lady Antebellum made history in 2010, becoming the first group to win in this category twice and the first artist to ever win the award two years in a row. Lady Antebellum was the surprise winner, beating out critical darling Jamey Johnson with their mid-tempo ode to love and devotion. Not only was “Before He Cheats” the biggest country single of the year, it added a new dimension to Carrie Underwood’s musical personality. The crossover success was an added bonus. Two up-tempo radio records competed against three spiritual hits, and the least compelling of those spiritual songs won. “Believe” was a surprise winner, also garnering Song and Music Video trophies for the duo. They again won Vocal Duo, bringing their total to four for the night. Womack won for her retro comeback hit. over four top five hits that also powered their parent albums past platinum. Tim McGraw is among the artists most nominated in this category, but “Live Like You Were Dying” remains his only victory to date. Cash died only a month before the 2003 CMAs, and while he’d already been nominated before his death, voters were filling out their ballots after he died and he ended up sweeping the show. This was the second posthumous victory in this category, following Keith Whitley in 1989. Alan Jackson dominated the 2002 CMA Awards, winning Single and Song of the Year for the 9/11 ballad that he debuted on the show one year earlier. Radio didn’t play it much, but record buyers still pushed the album past seven million in sales, helping the Soggy Bottom Boys win over four #1 airplay hits. Womack’s first win in this category remains her signature song, an inspirational country hit that also found great success on adult contemporary radio. “Wide Open Spaces” was the single that moved the Dixie Chicks from rising stars to superstars, and its win was accompanied by their second consecutive Vocal Group trophy. Steve Wariner was a country star for fifteen years when he finally won his first major industry awards, taking home Single and Song honors at the 1998 CMA show for his tearjerker ballad. Deana Carter’s debut single won over a category full of established stars, and it also picked up Song honors for co-writers Matraca Berg and Gary Harrison. “It’s been a long time since I climbed up those stairs,” a surprised George Strait exclaimed upon winning this award. He went home with Male Vocalist and Album honors the same night. “I Swear” was an instant wedding standard upon its release, and helped cement John Michael Montgomery’s reputation as country music’s love song balladeer. Alan Jackson’s Single of the Year win in 1993 was accompanied by a Song trophy for “Chattachoochee,” but he had to wait until 1994 to collect it, thanks to an oddity in the latter category that allowed songs to be nominated two years in a row. The Cyrus Virus was in full effect in 1992, and even CMA voters caught it, giving Billy Ray Cyrus the victory for Single of the Year over formidable competition. Garth Brooks won his only Single of the Year trophy from the CMA Awards for what is certainly his biggest hit. Vince Gill’s long run of CMA trophies began with his 1990 victory for Single of the Year for “When I Call Your Name.” It went on to win Song of the Year in 1991. Whitley won posthumously for his haunting ballad, and his death shone an entirely new light on his performance. While it was “80’s Ladies” that won the Song of the Year trophy, that wasn’t nominated for Single of the Year. Kathy Mattea took it home for her biggest hit, which spent two weeks at #1, a chart rarity at the time. Randy Travis won with the record that made him a superstar, a song that became universally well known without ever crossing over to pop radio. In a category stacked high with New Traditionalists, Dan Seals took home the trophy for his fifties-flavored dance number. The Judds became the second professional duo to win this award with their victory for “Why Not Me,” and started the trend of same gender duos that dominated in the eighties and nineties. “A Little Good News” was very good news for Anne Murray, who had been nominated for years without ever winning a CMA Award. It also served as the title track for her Album of the Year winner the same evening. John Anderson’s biggest hit until his early nineties revival, “Swingin'” is very representative of the Urban Cowboy sound of the time, even if Anderson himself was not. Willie Nelson had the biggest hit of his career with “Always On My Mind,” a single that sold more than two million copies and dominated multiple radio formats for the better part of a year. “Elvira” encapsulated the Oak Ridge Boys sound and helped them become top-sellers for most of the eighties. George Jones enjoyed new career heights with “He Stopped Loving Her Today,” which is always included in the upper rankings in lists of the greatest country songs of all-time. “The Devil Went Down to Georgia” captured the imagination of record buyers and helped cement the popularity of Southern Rocker Charlie Daniels and his band. The Kendalls, a father and daughter duo, found great success with their cleverly written moral dilemma. “Lucille” became the big breakthrough Kenny Rogers had been waiting for, and he helped make it happen by suggesting a lyrical change in the second verse that stops the affair before it can happen. Waylon Jennings had recorded “Good Hearted Woman” years earlier, but it was with his live version with Willie Nelson that the song found its greatest popularity. Freddy Fender’s beautiful bilingual hit won over a collection of remarkably popular records that dominated country and pop radio that year. Cal Smith won for his tender tale of a young lady’s life through courtship, motherhood, and death. Donna Fargo’s hit is a sweet pop confection, but there’s a forward-thinking layer of gender equity underneath all of that sugary goodness. This Kris Kristofferson-penned smash was recorded by several men before it was transformed by having a woman sing it, turning it into a song of empowerment that was revolutionary for country radio at the time. Merle Haggard’s small town answer to the era’s counterculture resonated far more deeply than even Haggard intended for it to, capturing a moment of time in America’s history from a perspective that wasn’t usually heard. “A Boy Named Sue” is a bonafide classic, recorded live in front of San Quentin inmates. It’s a credit to Cash’s delivery that such a dark and disturbing storyline can be played so well for laughs. There’s a raw energy to the Riley hit that still packs a punch, long after miniskirts have raised their last eyebrow and Peyton Place left the airwaves. Jack Greene’s victory at the first CMA awards established a trend that would often be repeated in this category: acknowledging the A-list hit of a B-list star. Blake Shelton has more than any of those superstars. I thought Emerson Drive got screwed in 2007 by not getting a nomination. “Moments”, written by Sam & Annie Tate and Dave Berg, was released on Nov 27, 2006 (too late for the 2006 CMAs). Maybe the release date contributed to being overlooked? Three Wooden Crosses should have won in 2003. Maybe it would have if Johnny Cash hadn’t died before the show. “People Are Crazy” would have been my choice in 2009, “One More Day” in 2001, “All the Good Ones Are Gone” in ’97, “Time Marches On” in ’96 (did it influence Kacey Musgraves “Merry Go Round”?) and “I Feel Lucky” in ’92 . I know “Achy Breaky Heart” was huge, but surely people can recognize novelty hits when they hear them? Like with Album Of The Year, I cannot believe that Dolly Parton has never won this category. And what’s more insulting is that among the three times she’s nominated, none are for songs she’s written herself. How in the world did Achy Breaky Heart beat out “Love Me” or “Maybe It Was Memphis”? What a tragedy that was. Re. “A Boy Named Sue”–I think the reason such a song as that can be played for laughs (and sometimes be misinterpreted for being a novelty record), is because it is so ironic and true to life (credit Shel Silverstein in that regard, since he wrote it), and because the Man In Black’s integrity makes it stick. His persona and his reputation were and are as such that, if country music had anything close to an ambassador, it’d be him (IMHO). This is an amazing list. I became a country fan in the early 70s, while in my early teens. This prompts some wonderful memories of great artists at the time. Charlie Rich. Donna Fargo. Sammi Smith. And you see artists that were dominant in their day who deserved to be, like Vince Gill and Randy Travis. Yet, as amazing as what is here is what is not here. I am stunned, for example, to see that Dolly Parton’s Jolene was not nominated (unless I missed it). Further, I agree, how does a single like Maybe it Was Memphis not win, hands down, hook-line and sinker?? No disrespect to Billy Rae Cyrus, at all, yet Pam Tillis’s single is one that should rank in the top ten country singles of all time. And, unless I missed it, Glenn Campbell’s Wichita Lineman? Yet, there are some great nominations here and some great wins. In that repect, I am thrilled to see that Lee Ann Womack won two of them. (Should have been three, with Last Call – but I just throw that in there gratuitously because I love it and melted through the floor when I heard her sing it in person. Should have won though still!) Thanks for posting this list for comment. This was fun. In addition to Dolly Parton’s “Jolene,” how is it possible that these all-time country classics somehow did not merit CMA recognition in this category?